Published: May 2, 2015 at 01:50 p.m. The Atlanta Falcons pick Clemson defensive tackle Grady Jarrett No. 137 in the 2015 NFL Draft. 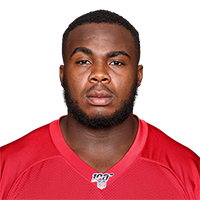 Published: May 2, 2015 at 03:25 p.m.
NFL Media Insider Ian Rapoport reports on Atlanta Falcons defensive tackle Grady Jarrett's home which caught fire while he was watching the draft with family and friends. Published: March 17, 2015 at 04:58 p.m.
Watch Clemson DL Grady Jarrett work out at the 2015 NFL Scouting Combine.